​With an overwhelming number of ‘wonder ingredients’ on the skincare market, it can be difficult to decipher what is simply a fad and which ingredients really do live up to their promises. The latest ingredient on our radar is rosehip oil, found in multiple facial oils and serums with the potential to transform your skin for the better. 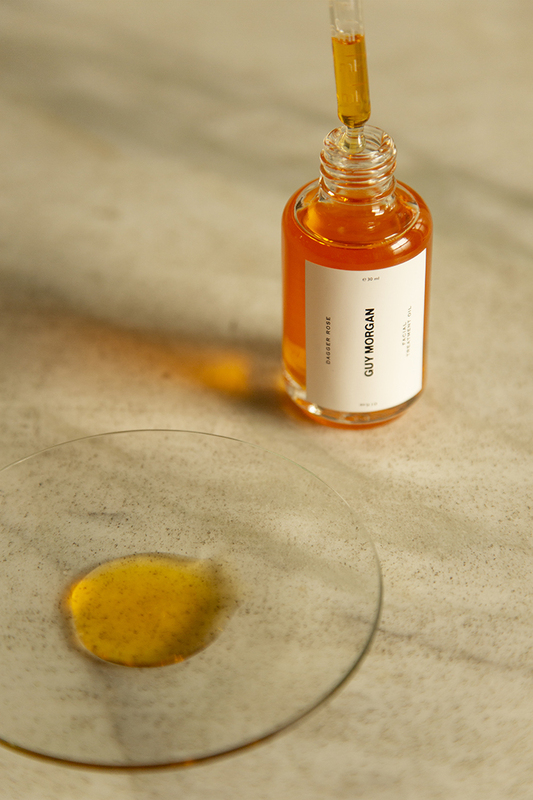 Derived from the rosa canina rose bush, grown predominantly in Chile, rosehip oil is pressed from the ‘hips’; the fruit seeds that remain behind the flower once a rose has bloomed and lost its petals. Rosehip oil has been around for millennia and was actually a prized ingredient used by the ancient Egyptians, Mayans and Native Americans for its healing properties. In terms of your modern beauty regime however, this small seed really does pack a punch and can benefit your skin in numerous ways. Firstly, rosehip oil is extremely hydrating. Daily exposure to external skin stressors such as UVA/UVB rays, pollution and free radicals has a significant effect on the overall health of your skin, leaving it dehydrated and feeling a bit lacklustre. Packed with fatty acids including omega-6 and omega-3, continuous use of rosehip oil helps to counter the effects of these external factors, keeping cell walls strong to enable them retain moisture and prevent further water loss. Omegas 3 and 6 are easily absorbed into the skin, allowing the vital antioxidants in rosehip oil to penetrate the skin’s deeper layes, and are also essential for cell regeneration, helping to heal and minimise the appearance of scars, stretch marks and fine lines. The other hero components of rosehip oil are Vitamins A and C, which combine to help improve the skin’s elasticity and overall texture. Retinol in Vitamin A encourages cell turnover, whilst Vitamin C aids in cell generation and is responsible for holding cells together during collagen production, a vital structural protein that keeps skin firm and flexible. A great all-rounder, not only is rosehip oil hydrating and healing but its rich Vitamin E content makes it a great anti-inflammatory ingredient, suitable for those suffering from psoriasis, rosacea or dermatitis. The combination of Vitamin E and retinol makes rosehip oil a powerful treatment for the those with acne-prone skin as inflammation of active breakouts is reduced, while existing scarring is able to heal faster. Rosehip oil is a ‘dry oil’, which means it absorbs into the skin quickly without leaving a residue, making it the perfect oil to wear under makeup. Using rosehip oil in combination with other powerful oils can alter the feel of it, however application can be tailored to what your skin needs. For those with dehydrated skin, a great way to get an extra boost of hydration is to mix a couple of drops in with your moisturiser; this works especially well with Evolve’s Miracle Oil, a nourishing oil that combines rosehip with argan and black seed oil. We recommend choosing an oil that is cold-pressed to make sure the essential active ingredients remain in tact, and choosing an organic product to ensure that the oil has been extracted from plants that have been grown without pesticides or herbicides. Whether you have dehydrated, oily or blemish prone skin you are sure to benefit from what rosehip oil has to offer, and with so many products utilising it’s powerful properties, there are plenty of opportunities out there to make it a permanent fixture in your beauty routine.